Brief Description: How does sound travel? Watch noise move salt, make your own harmonica, and more. Prepare the springs for the thunder tubes, per the instructions on Easy, confirmed working Thunder or Spring Drum **this one REALLY works!! ** by Josephine1 on Instructables.com. WARNING: Use precaution, and prepare the spring while wearing both goggles and gloves. THe spring needs to be stretched out very long, held for over a minute in that position, and then cut in half. If the spring breaks loose from the vise (or partner’s hand) that holds it, it could snap back and cause injury. Watch either Resonance Experiment! (Full Version – With Tones) or Amazing Resonance Experiment!, demonstrating the “Chladni Effect.” Show only a small portion of the video. Chladni Plates on Americanhistory.si.edu provides an excellent explanation of the Chladni Effect. 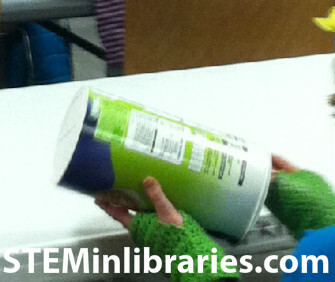 Using the Slinky Waves activity from Seark Science, we demonstrated sound waves. 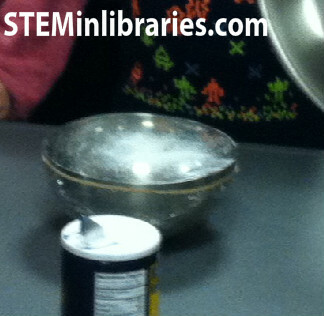 We then followed that with the Waves of Sound experiment from Scholastic.com’s Science of Sound, using a plastic covered bowl and salt. It was interesting to see the sound waves in action, and the kids were amazed. We purchased palm pipes (essentially mini-boomwhackers) and tried to have the kids play a tune as we pointed to them. They had to guess the tune. While the kids loved using the palm pipes, the demonstration itself was not very successful. Kids couldn’t guess the tune and had difficulty following when they were suppose to use their pipe. If we offered this activity again, we would tell the kids what the song was beforehand to help them as they played the palm pipes. We made harmonicas out of popsicle sticks and rubber bands. They kids loved the instrument but had difficulty maniupulating the rubberbands. We used Homemade Harmonica by JTapp09 on Instructables.com, Make Some Noise! on Ncsciencefestival.org and How to Make a Harmoni-Kazoo out of Popsicle Sticks and Rubber Bands by Phil Lonsdale on Exotic-instruments.wonderhowto.com as references for this activity. 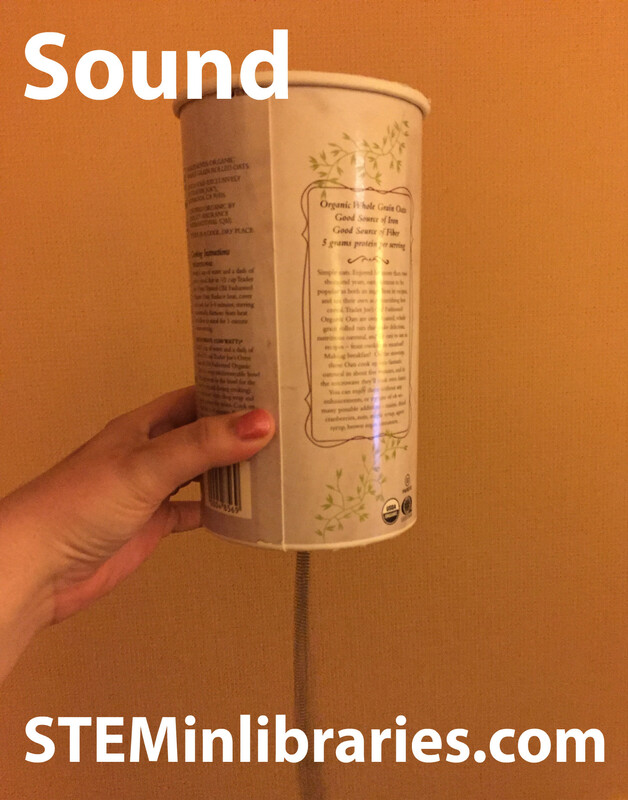 Using the instructions from Easy, confirmed working Thunder or Spring Drum **this one REALLY works!! ** by Josephine1 on Instructables.com, we helped the kids make thunder tubes, an end product that was extremely popular. Please note: Be very careful with the springs used in this product. Warning: The springs should be prepared beforehand, and prepared with caution. Be sure to use gloves and goggles when preparing/stretching the spring, as noted in the Advanced preparation section. If offering this program again, we would most likely either eliminate the Palm Pipes demonstration, or, at the very least, removing the guessing aspect of the demonstration. Otherwise, all demonstrations were well received, and the projects were well liked. This program is solidly for the 4th-6th grade set, although teens might enjoy the sheer noise factor associated with making the thunder tubes.